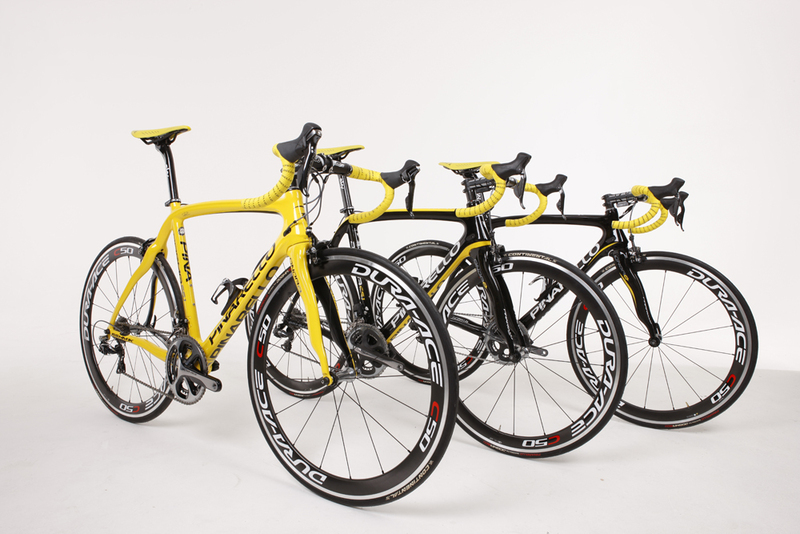 Yellow bikes for the yellow jersey are nothing new, but in July this year, Sky did something a little bit different. 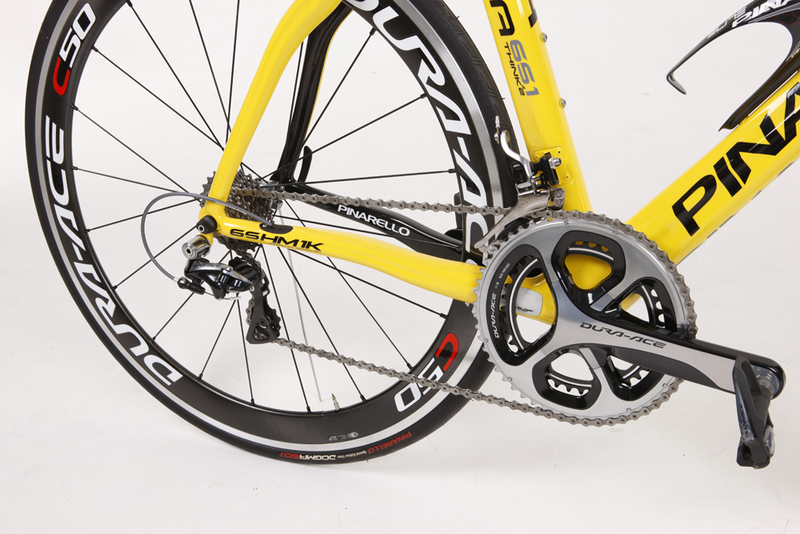 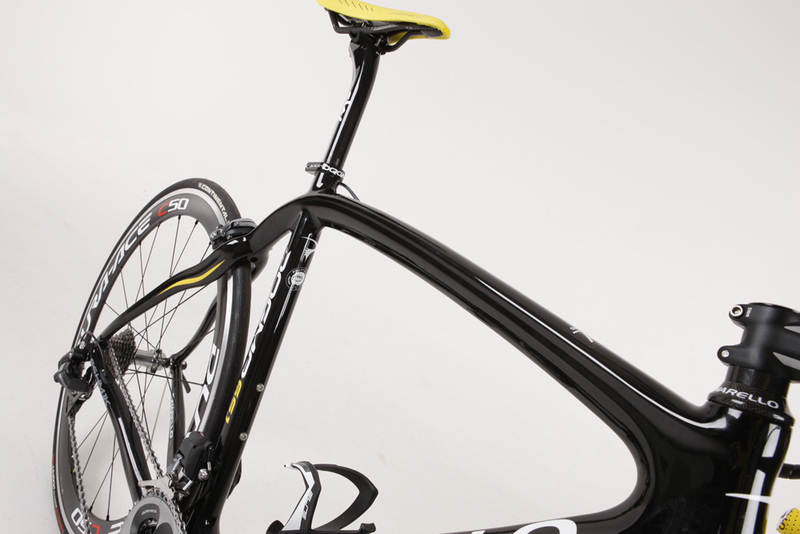 When Bradley Wiggins first took the lead in the Tour de France, he got a black bike with yellow accents. 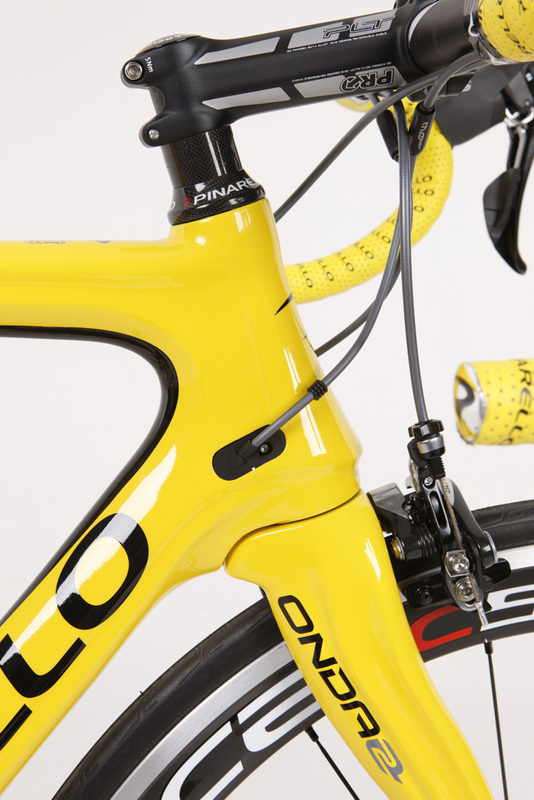 After Wiggins consolidated his position, the yellow erupted on to the down tube. 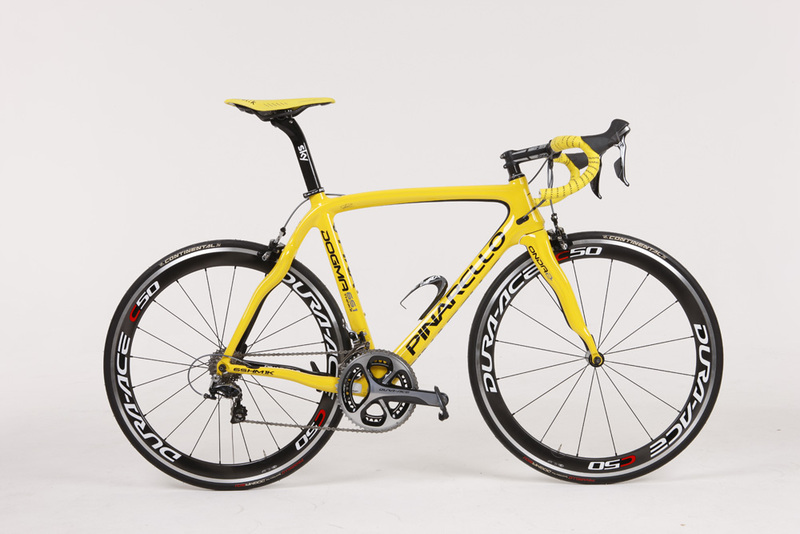 Only when it came to champagne-sipping time on the final day did they roll out the full yellow livery. 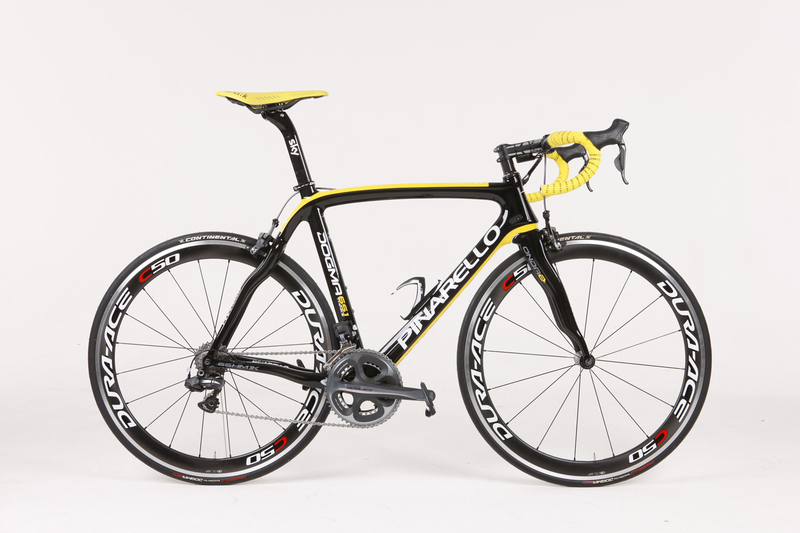 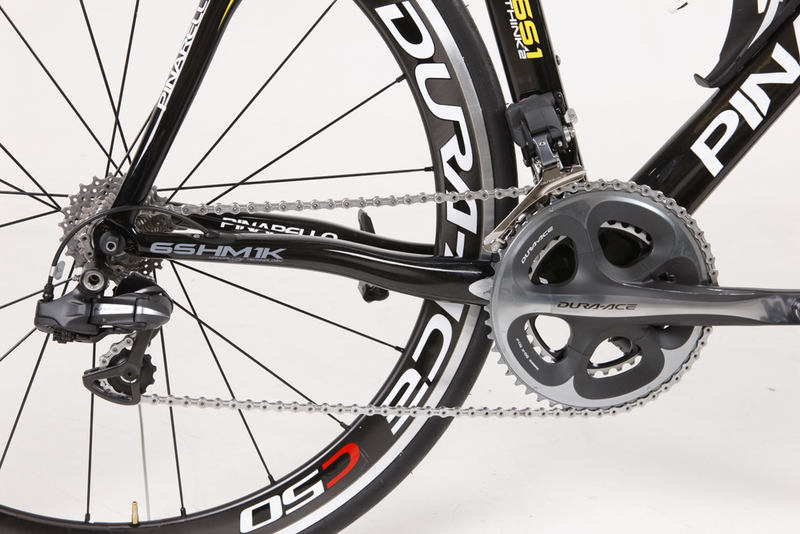 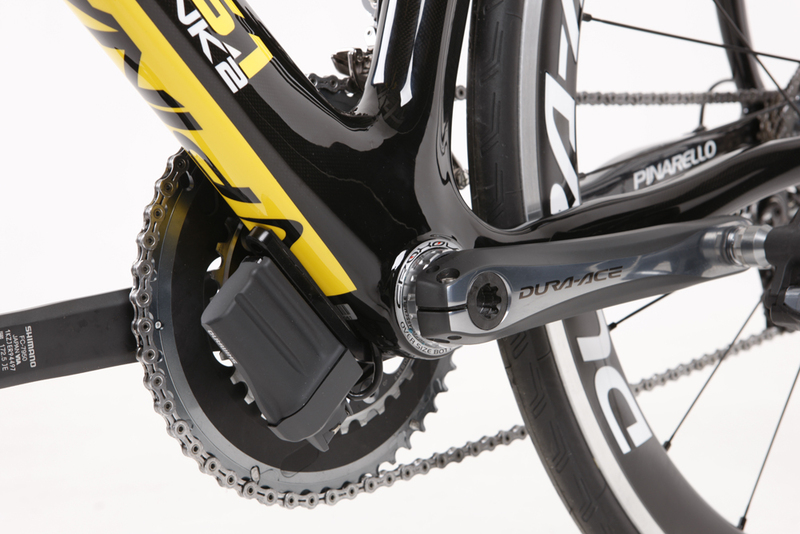 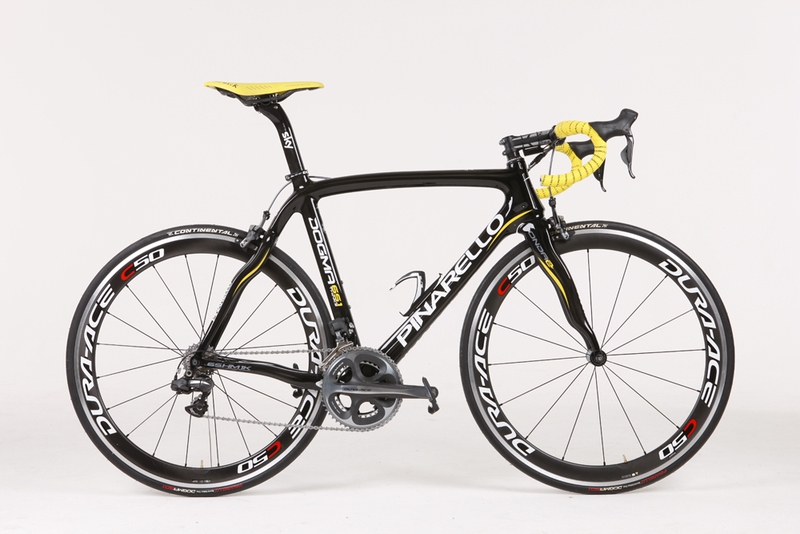 To commemorate the Briton’s win, Pinarello has released replicas of the bikes in the all-new 2013 Dogma 65.1 frame and dressed them with Team Sky’s sponsors’ components for the full team look. 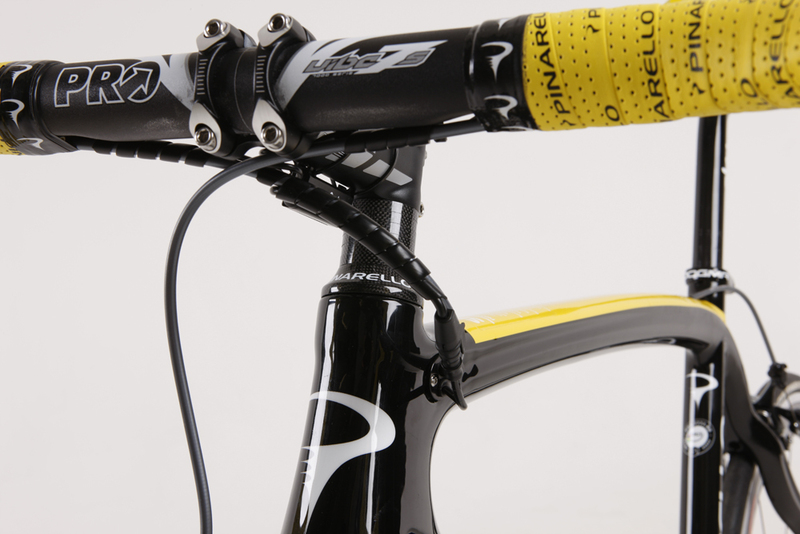 In this picture, the bike in the centre, with the yellow down tube, is the only one that’s a regularly stocked colour option (Pinarello uses the internal code 770) but the other two (853 and 769) are available to order.